Talk show host, speaker, author, life coach and “Daughter of The King.” Leslie is a woman who “Lives Life On Purpose, With Purpose.” Leslie’s books include Sisters With S.A.S.S. (Saved Anointed Smart, Successful Women of God) and Love Letters From God; Psalm 23. She also hosts Sister Circle Girlfriends Getaway Weekend, a destination conference for you and your best friend. Leslie’s mission is to equip, encourage, empower and inspire those who have been broken, burdened or weighed down by the circumstances of life. Leslie has been married to Pastor Franklin K. Howard for 30 years. Together they have served as Pastor and First Lady at the 24-7 Community Church in Newark, NJ for15 years. They have two adult children and two beautiful grandchildren, Nia and Jaiden. Two Christian women who like the arts and love the Lord began a small production company, and just released the first four videos (DVDs) in a series by and for women. The videos are inspirational messages based on some of the greatest hymns of all time. The series is called: “Know Him Through Hymn.” We hope you’ll visit the site at www.splitseas.com. We welcome your encouragement, support, and prayers! The following are two speakers recommended by Mrs. Lynda Pendergraft. Contact her at lpendergraft@paonline.com for her comments. 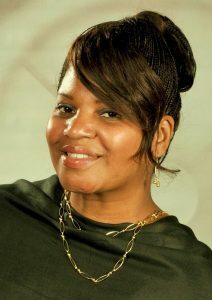 Deborah Lovett, Women of the Well Ministries. She has a strong, close relationship with Jesus Christ and a great sense of humor about life. Her web site is www.womenofthewell.org. Kristin Kline, author of Modesty Matters. Contact her through www.modestymatters.com. Her address is Modesty Matters, 14526 Dunsmore Place, Cypress, Texas, 77429, 281-304-7771.